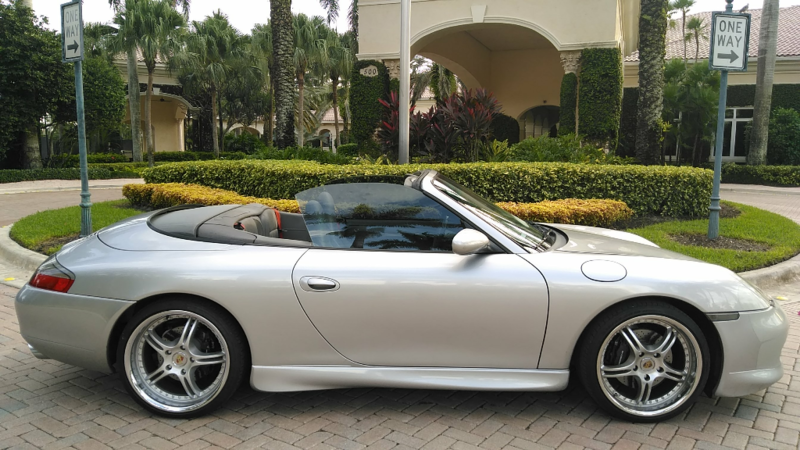 This is a pristine 2000 Porsche Carrera Convertible. Garage kept. Clean Carfax. Car has over $15,000 in upgrades. Sivermist gray paint with gray convertible top and gray leather interior. Seats have red stitching accented with red seat belts. Gorgeous factory 19’ turbo rims. Updated headlights, taillights, and side markers. $6,500 carbon fiber package. Side aero package. Built in radar detector and Bluetooth. Car has the appearance of a $50,000 Porsche. I have personally driven this car for over 2 years and it is running excellent. Must see this car in person to truly appreciate it. Message: Thought you might be interested in this 2000 Porsche 911.